In recent years, organizations have increasingly found that providing access to employee wellness programs results in a more balanced and productive workforce. But wellness means more than just gym memberships and nutritional guidance. With stress around financial management and planning on the rise, a holistic approach to employee wellbeing should include access to comprehensive financial education and planning. According to a recent study, 25 percent of participants said the employer benefit they want the most is unbiased financial guidance. Equipping employees with the tools they need to confidently make key financial decisions is critical for their personal wellbeing. However, the trickle-down effect for employers can be just as impactful. By reducing stress levels, employers cut down on absenteeism and healthcare costs, while increasing engagement, productivity, job satisfaction and retention rates. Financial literacy levels vary wildly in the workplace. Employees requiring additional assistance are often reluctant to seek guidance or fully optimize the benefits available to them. It is important to meet employees where they are financially and cover the spectrum of information employees need to enhance confidence in making financial decisions–from basic budgeting to the intricacies of asset allocation and risk management. When creating a strategy to address these knowledge gaps, it’s important to remember that financial literacy does not begin and end with education. Putting the right information in front of employees is important, but it rarely drives immediate behavioral change. A recent report found that financial programs need to consistently be rolled out with targeted messaging in order to be most impactful. To fully maximize the benefit of financial education, it’s essential to communicate through multiple channels. Targeted communication drives engagement, but a growing number of employees also say they want digital assistance to the same degree they receive one-on-one guidance. A willingness to be open and flexible to the needs of employees—and their varying levels of financial confidence and literacy—are the guideposts of successful financial wellness programs. 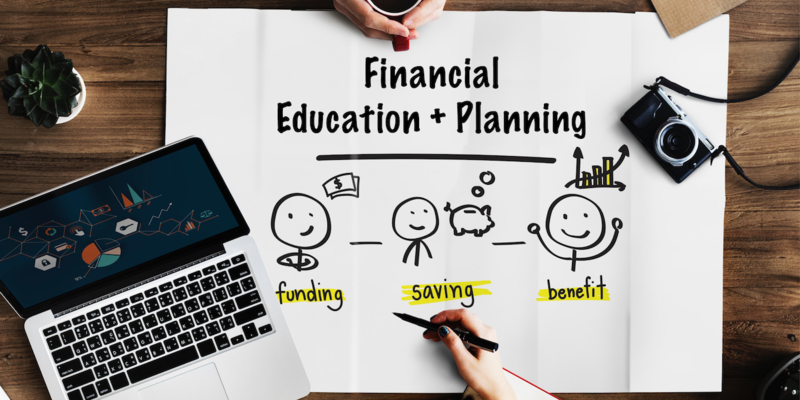 As employers implement financial education programs, they must align the increase in financial awareness with strategic, actionable goal setting and a platform for employees to track progress. By tracking habits, employees can integrate positive behaviors and remediate negative behaviors as they construct a comprehensive financial plan. Today’s planning solutions allow employees to track progress in real time –with data aggregation and budgeting tools that provide pulse checks to monitor and address spending habits, realign priorities, manage debt and take proactive steps to achieve their stated goals. A balanced financial wellness toolbox that contains a robust technology offering and the tools to evaluate needs (e.g., a financial wellness assessment), drive change (e.g., promotional campaigns and educational seminars) are the defining features of a sound offering. Planning capabilities that allow for self-directed, collaborative or advisor-led engagement present continuous opportunities for employers and financial advisors to engage, educate and empower employees to make meaningful change on the journey toward financial wellness.